For over 50 years Cobia has been the beloved brand name that defined the ultimate family recreation boat. When Maverick Boat Company, manufacturers of Maverick, Hewes and Pathfinder, the nation's most respected builder of light tackle fishing boats acquired Cobia, they set out to do more than just maintain that history. They set out to make Cobia the most advanced fishing boats on the market. What started out as an evolution of a brand has become a passion for innovation in boat construction. The new Cobias have been completely redesigned with a combination of fishing features and creature comforts that will set the standard for years to come. Today's Cobia is simply a better designed boat, built with the most advanced state-of-the-art materials and technology. 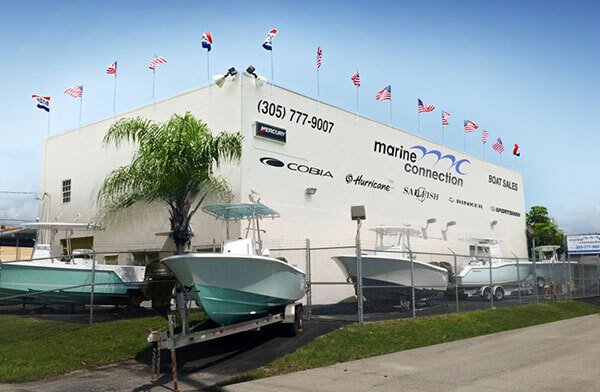 Marine Connection is the #1 COBIA DEALER IN THE WORLD! LARGEST INVENTORY. BEST PRICE. GUARANTEED. You are viewing boats (3).